﻿ Leptigen pills Review: Is it Safe? Leptigen claims to provide safe and effective weight loss. It’s made up of 4 different ingredients intended to help you lose weight, increase energy, and burn fat. Meratrim: A combination of Garcinia mangostana and sphaeranthus indicus. Both are claimed to produce several positive health results, neither has any reliable research to back up these claims. ChromeMate: Combination of the minerals chromium and zinc. Although they’re both useful when found in food, in supplement form there aren’t any reliable studies to suggest they’re useful. Green Tea Extract (70% EGCG): Commonly added tea used for its antioxidants. EGCG is intended to reduce body fat, but studies have shown otherwise. Caffeine USP (75 mg per serving): Roughly the same amount of caffeine as a cup of coffee. It’s often included in weight loss supplements for its effects on metabolism. It can lead to numerous side-effects including restlessness, insomnia, rapid heart rate, anxiety, tremors, and mood swings. A month's supply is expensive at $109.95. Furthermore, the company admits it can take up to a month or longer to experience effects. Although they claim to have a 120 day money back guarantee, it’s mentioned this cannot be used for “overly used products”. It’s not explained what this means exactly. It sounds like a loophole the company made so they can escape giving you your money back. Not only is it expensive, but the money back guarantee is only offered if the company allows it. There are cheaply priced, high quality ingredient brands available here. You have to drink a lot of water. Diet and exercise are mandatory. Side effects including: Insomnia, jitters, headaches, mood swings, dehydration, anxiety, rapid heart rate, and restlessness. 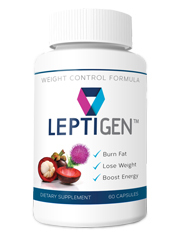 Discover how Leptigen fairs against the very best weight loss supplements. There are too many unanswered questions. With cheap ingredients such as caffeine, green tea, and a chromium mix, it would be less expensive to find these additives in a supermarket. Even then, weight loss wouldn’t be guaranteed. Other faults include: A deceptive money back guarantee. As a customer, you’re unable to get your money back unless the company allows it. Although it sounds like you’re getting a science backed product, the studies performed are biased. The ingredients have unfavorable, mixed, or no official clinical studies performed. One last point to consider is the high price. You can find affordable customer favorites for weight loss.